Fáilte go Scoil Phádraig, Ballyhale, Co. Kilkenny. The school is based in South Kilkenny and we have 182 pupils this year 2018/19. Bain spaoi agus sult as!!!! 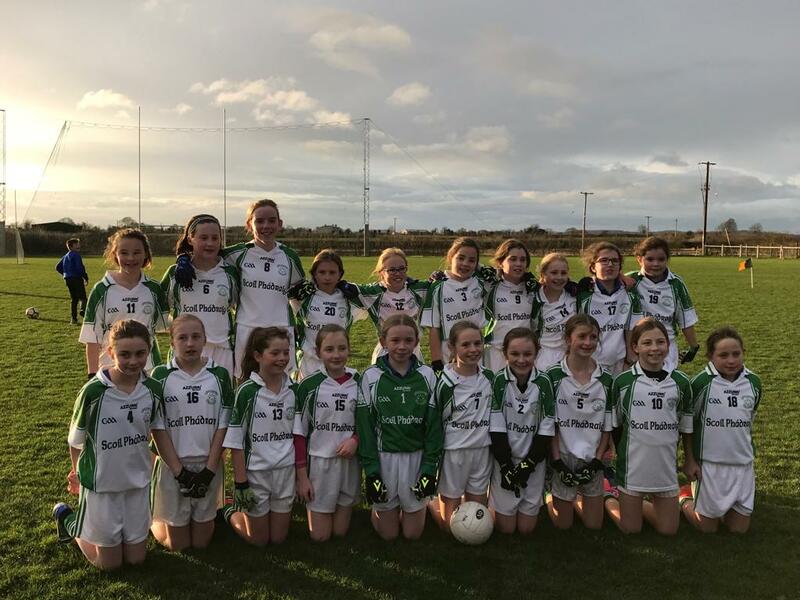 Fáilte go Scoil Phádraig, Baile Héil. 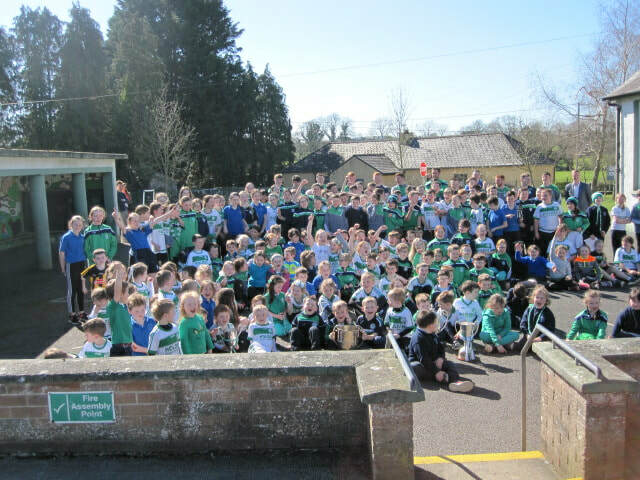 The victorious Ballyhale Shamrocks team visited Scoil Phádraig on Thursday 28th of March with the County, Leinster and All Ireland Club trophies. 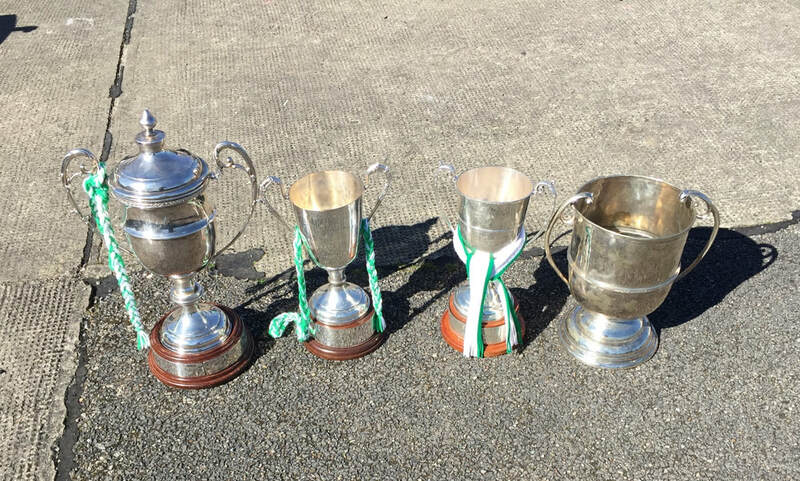 They had won the All Ireland Club trophy for a record breaking 7th time. Maith sibh!!!!! Seamóga Abú!!! 6th class have entered the Junior Entrepreneur Programme. They have put in some very hard work and are close to launching a product. Click here to view the Junior Entrepreneur Page and learn more about the project in Scoil Phádraig. 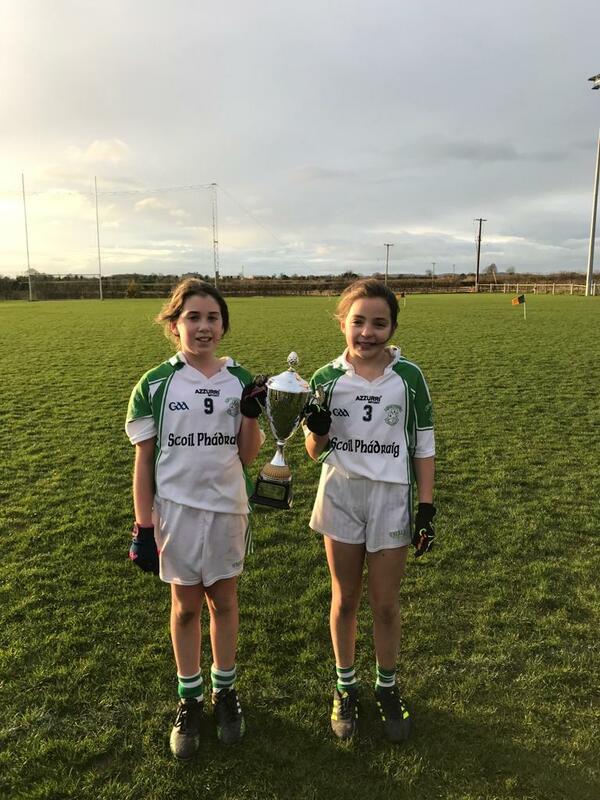 Winners of the Roinn F Football County Final on Tuesday 20th of November. Maith sibh cailíní!!!!!!!!!! 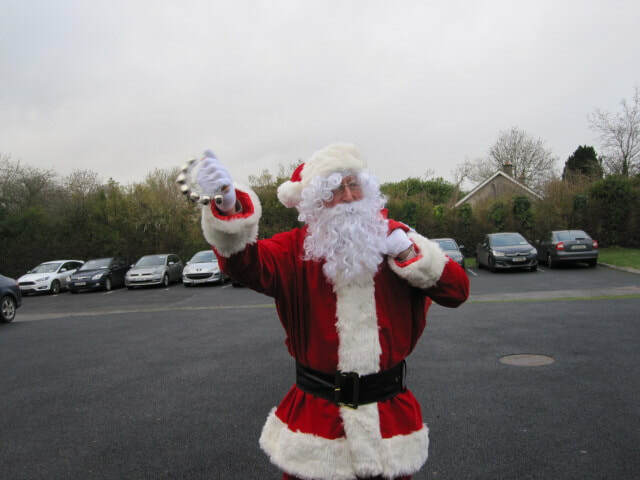 There were 136 Christmas Boxes brought in by the pupils of Scoil Phádraig, Ballyhale for the Team Hope Appeal. A huge thank you and well done to all the children and parents who contributed to this fantastic effort. Maith sibh go léir!!!!!! The New Junior Infants who started on 29th of August 2018. 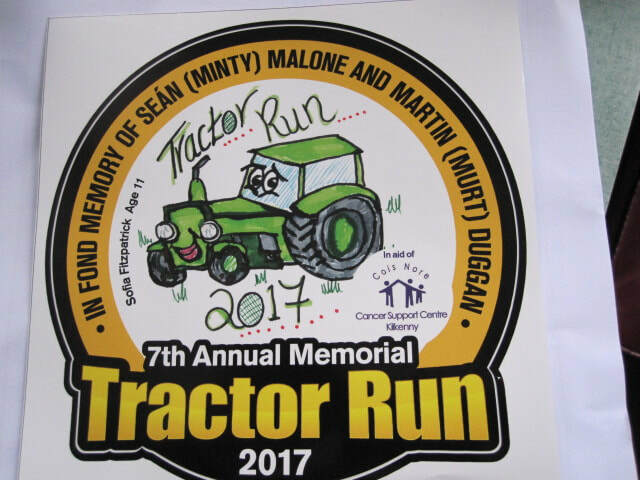 The Annual Tractor Run Poster competition will take place from now until 9th of November when we will collect all entries. 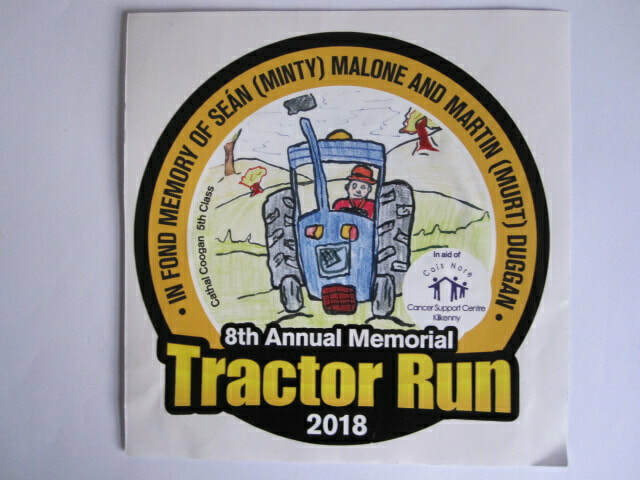 The winning entry will appear on the Tractor Run sticker and will also receive a prize from the Tractor Run Committee. The Annual Team Hope Christmas Box appeal will take place this year again and the boxes will be collect on Friday 9th of November. Please support this worthwhile cause if you can. Last year we sent 111 boxes so perhaps this year we might be able to match or even better this total. Buddy Bench Ireland were delighted to inform Scoil Phádraig that they had procured full funding as part of Kilkenny Mental Health Week and in collaboration with the Kilkenny mobile Library services to deliver the Buddy bench programme in Scoil Phádraig. The programme was delivered to our school on Friday 5th October 2018. This is the photograph of the Buddy Bench in school. Thanks to Buddy Bench Ireland for the workshops they did in all the classrooms. The Parents Association will be collecting clothes for their clothes collection on Thursday 25th of October. All clothes can be dropped into the school hall on Wednesday evening and Thursday morning.